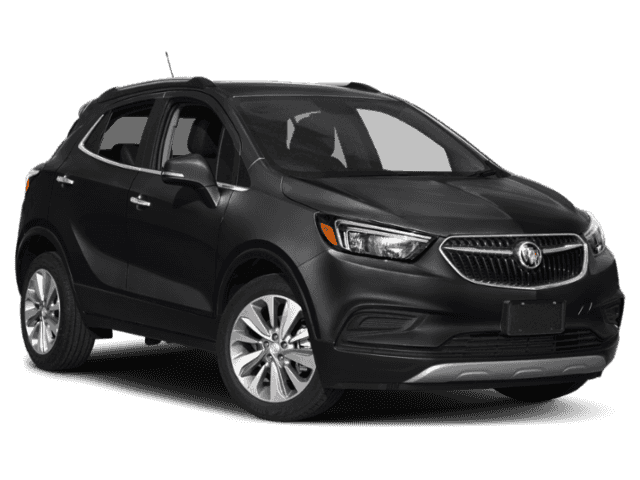 Preferred trim, EBONY TWILIGHT METALLIC exterior and SHALE / EBONY ACCENTS interior. FUEL EFFICIENT 30 MPG Hwy/25 MPG City! 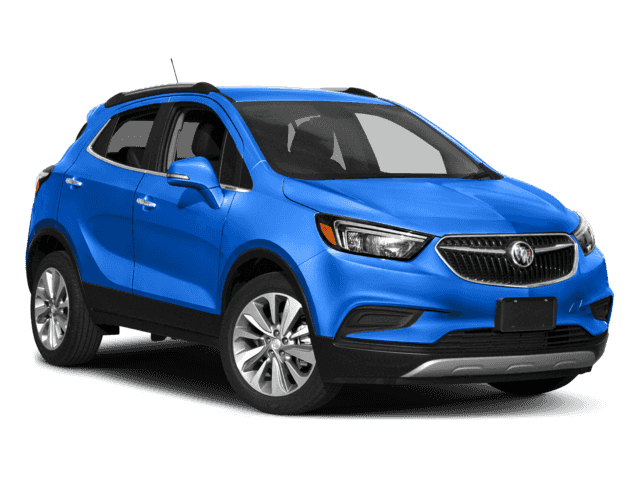 Back-Up Camera, Onboard Communications System, WiFi Hotspot, Turbo Charged Engine, Aluminum Wheels READ MORE! KEY FEATURES INCLUDE Back-Up Camera, Onboard Communications System, Aluminum Wheels, WiFi Hotspot. Privacy Glass, Steering Wheel Controls, Child Safety Locks, Electronic Stability Control, Heated Mirrors. OPTION PACKAGES REMOTE VEHICLE STARTER SYSTEM includes Remote Keyless Entry, LPO, BUICK INTERIOR PROTECTION PACKAGE includes the following dealer installed LPO accessories: (VAV) First and second row color-keyed all-weather floor mats and (VLI) Color-keyed carpeted cargo mat, ENGINE, ECOTEC TURBO 1.4L VARIABLE VALVE TIMING DOHC 4-CYLINDER SEQUENTIAL MFI (138 hp [102.9 kW] @ 4900 rpm, 148 lb-ft of torque [199.8 N-m] @ 1850 rpm) (STD), TRANSMISSION, 6-SPEED AUTOMATIC, ELECTRONICALLY-CONTROLLED WITH OVERDRIVE includes Driver Shift Control (STD), AUDIO SYSTEM, BUICK INFOTAINMENT SYSTEM, AM/FM STEREO, SIRIUSXM with 8' diagonal Color Touch Screen, includes 2 USB ports, Bluetooth streaming for audio and select phones and Phone Integration for Apple CarPlay and Android Auto capability for compatible phone (STD). 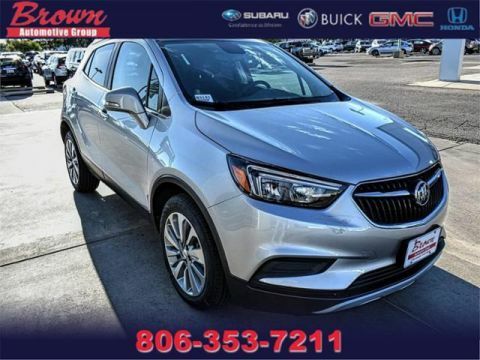 BUY FROM AN AWARD WINNING DEALER Brown Buick GMC Subaru, conveniently located in Amarillo at 4300 South Georgia is just a short distance away for all Lubbock and surrounding area drivers. 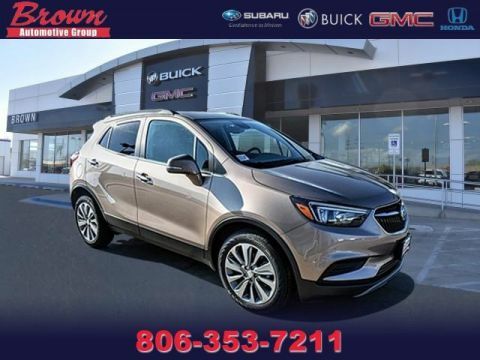 Brown Buick GMC Subaru has an outstanding reputation, because we truly do put the customer first. We know that most people take tremendous pride in what they drive, so we are dedicated to delivering a level of satisfaction that is unmatched in the industry. INTERNET PRICE REFLECTS ALL REBATES AND INCENTIVES. Horsepower calculations based on trim engine configuration. Fuel economy calculations based on original manufacturer data for trim engine configuration. Please confirm the accuracy of the included equipment by calling us prior to purchase.